The internet is a funny place. The rules of time just don’t apply here in the same way as they do IRL. Yet somehow I’m still surprised when something “old” starts making the rounds and going viral. I guess that sense of befuddlement may be because, being of a certain age, I’ve lived more of my life offline than on. Who knows. For some reason this clip from the Jimmy Kimmel show, posted back in October of 2014 is starting to blow up and I’m now seeing it for the first time. 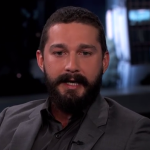 In it Jimmy Kimmel asks about Shia’s arrest at the musical Cabaret. 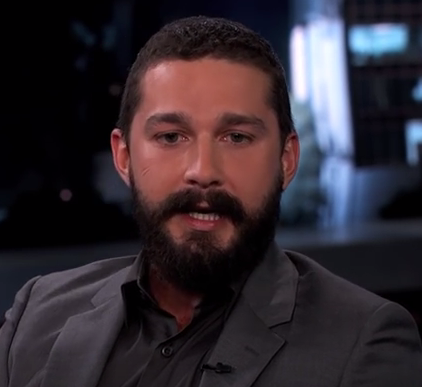 Those three things alone… Shia, Cabaret, and arrest… already have the makings of a funny story. But Shia tossed in a few more elements–including Whiskey, a homeless man and leather pants–that take this story from funny to don’t miss hysterical. David Tennant reading me a bedtime story? Yes, please….